Connected to past, present in now, open to possibility. Workshop cancellations will incur a 15% Admin fee. Please contact the producer if you need to cancel. You can transfer your place to another person (and they pay you) however please discuss with the producer first to ensure they meet the workshop requirements (e.g. they need to have done 5Rhythms before and meet the workshop prerequisites). We can also hold your workshop place as a full credit towards another Moving Essence workshop. We will always notify people on the credit list whenever a workshop is announced. Workshop credits cannot be transferred to weekly classes. 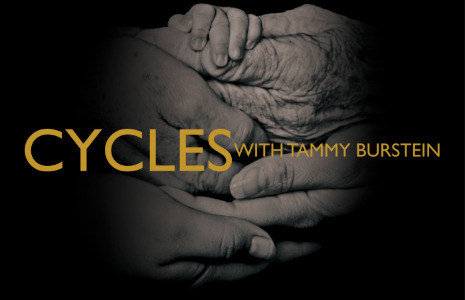 Cycles is an up close and personal look at our own lives, our birth, our upcoming death and everything and everyone between. We make connections, reweave threads, let go of the hurt and humiliations. We get real. We honor the people and events that have shaped who we are and the challenges and gifts they left us with and reinvent our inherited self into somebody we truly want to be.